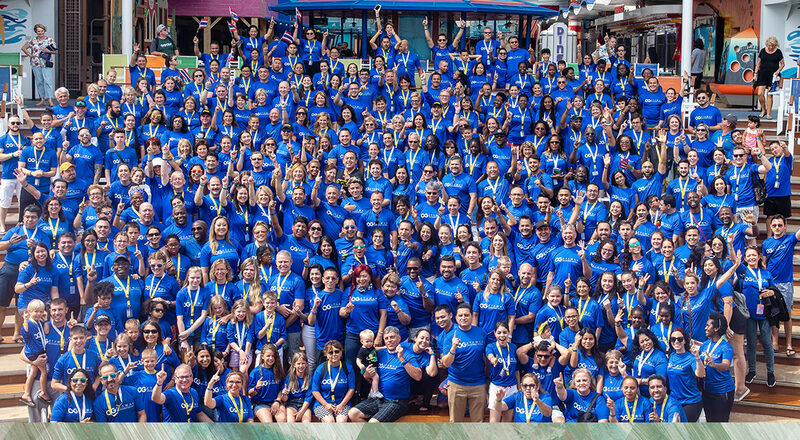 Hundreds of Distributors from around the world wrapped up an amazing week at the OGetaway 2018 aboard the fantastic Allure of the Seas cruise ship from Royal Caribbean. To qualify for this company-paid incentive, aboard one of the biggest ships in the water today, Distributors had to accumulate a minimum of 200 points. 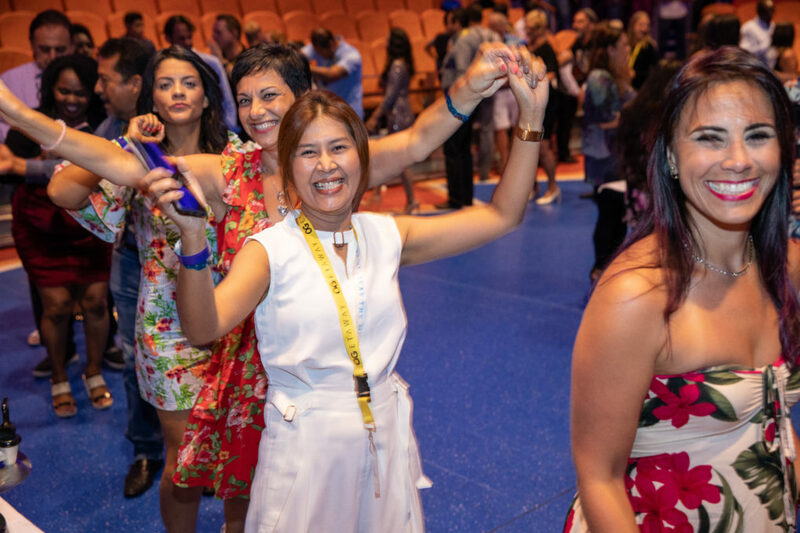 ORGANO did not just pay for the cruise, but also put up some great activities were our amazing qualifiers had a chance to mingle, get to know each other and spend quality time with some of our best-performing Distributors from around the world. When you ask them what their experience was like, a lot of them value more than just the trip. For them, the connection they made with some of the best performers in the business, was invaluable. 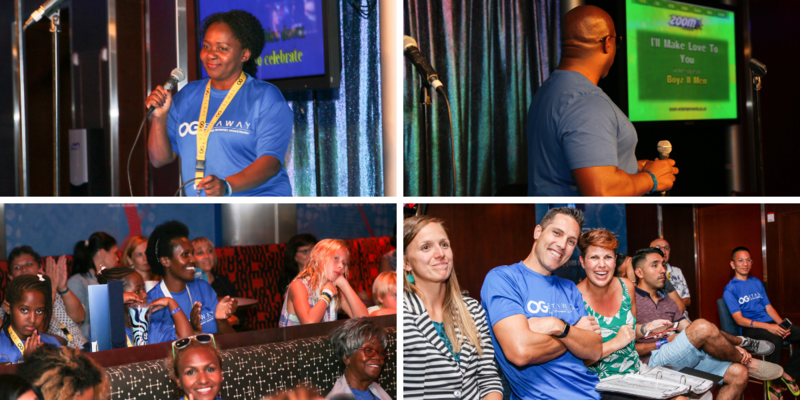 After registering and getting their OGetaway wristband and other goodies, Distributors kicked off the week at the amazing welcome reception we had prepared for them at the Solarium bar, with an incredible view of the front of the boat as we set sail for the Bahamas. Sunset views, finger food, and cocktail in hand, Distributors greeted each other and took pictures of what would be a fantastic week, spending time together, building new relationships and solidifying old ones. Our social media team announced a $100 room credit giveaway for the best photo of the day. This initiative motivated some Distributors to take their best lifestyle shots and put their camera skills to the test. We received some incredible submissions. See below for some of our favorite shots from the trip. Our third day was at sea started with a meeting at studio B. Our Director of Events Erik Johnson kicked off the welcome reception letting everyone know the activities we had planned and housekeeping rules. NO SOCKS RULE in full effect. A video from our CEO Bernie Chua, CVO Holton Buggs, Co-Founder and Global Master Distributor Shane Morand, and our Senior Strategic Partner Paul Caldwell was presented to the eager crowd. They wished the qualifiers a fun and safe trip, while Holton made sure to remind everyone of the no sock rule in effect. Speakers at the welcome reception included leaders such as Stephen Nilsen, Diana Nilsen, Kim Bean, Robert Rakowski. Rod Smith, Hanoi Driggs Sordia and Rodolfo Vargas, Director for Organo Latin America, recognized the top 10 Distributors with the most points for Seas the Moment 2018. At 5 PM we made our way to the On Air Karaoke bar, for an exclusive event with Distributors brave enough to step in front of their peers to sing their favorite tune. 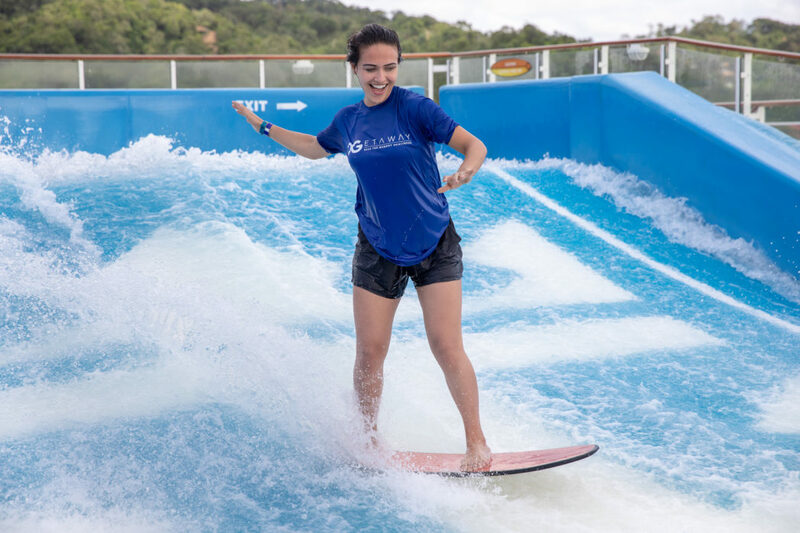 Day 5 – Flowrider Activity. 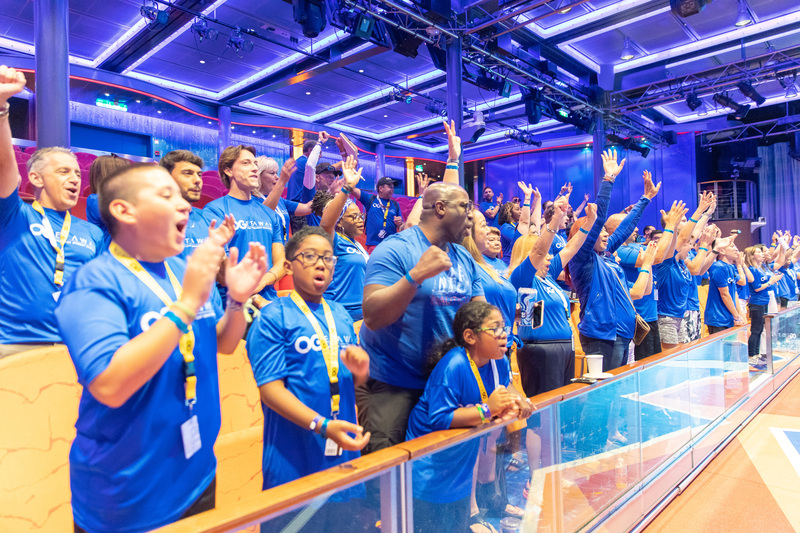 The FlowRider is without a doubt, one of the most popular activities on the ship for the thrill seeker, and ORGANO reserved the ride on day 5 of the trip. Those who got up early enjoyed 2 hours with their OG Family taking pictures and surfing on this heart-pumping ride. With breathtaking views of the island of Roatan, Honduras on the background, our Distributors enjoyed every single minute on the journey. Day 7 – The Amazing Race. Continuing with the tradition of our previous OGetaway, the Amazing Race has become a staple of our Incentive Trips and Distributors from all over get very excited to participate. More than 15 teams participated in the scavenger hunt style game. They were required to make a video commercial to promote OGX, climb the rock wall, take a selfie with an officer of the ship amongst other activities. In the end, three teams took prizes that included $30 in room credit per person for the 2nd and 3rd place. The 1st place received $50 per team member. At 6:00 PM ship time the OG family gathered again at Studio B for a farewell party. It was bittersweet as hugs and vacation stories were exchanged of what it had been an incredible incentive trip. The band playing encouraged the whole group from ORGANO to get up and dance creating a conga line so big, that covered the entire dance floor. Distributors agreed that this was one of the best incentive trips that OG has organized. Apart from the planned activities, the connections made there, and time spent with our leaders was the icing on the cake for many. 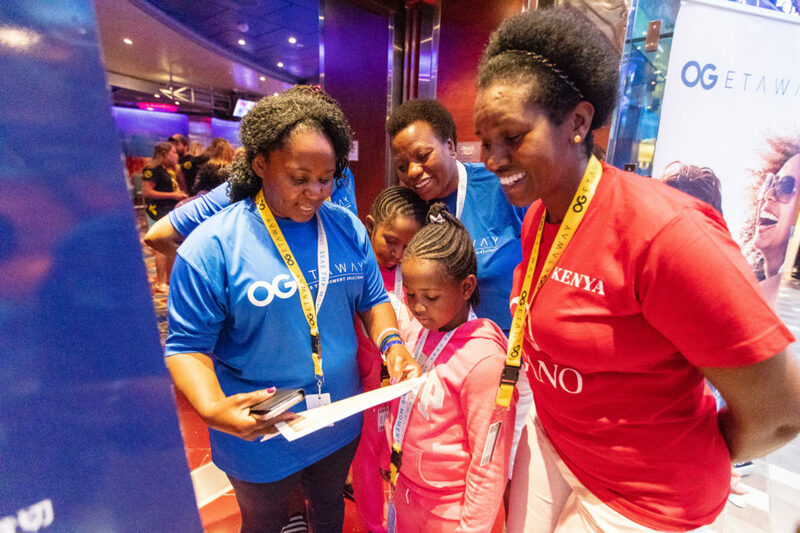 Next year, ORGANO has not only made it easier to qualify, but we’ll also have five different destinations to choose from. Details of the destinations will be coming soon.